Here’s a tangram puzzle featuring lots of brightly coloured wildlife tangrams for us to solve. It even includes educational facts about various animals. Original geometric puzzle game with an educational twist. Very simple intuitive gameplay. Your task is to combine colorful animal image from pieces of different shapes. But hurry up, to receive all stars you have to complete the task in 30 seconds. It seems impossible at first time, but then you will be wondered how your skills develop as you play. Seven continents, more than 80 unique levels with beautiful animals. 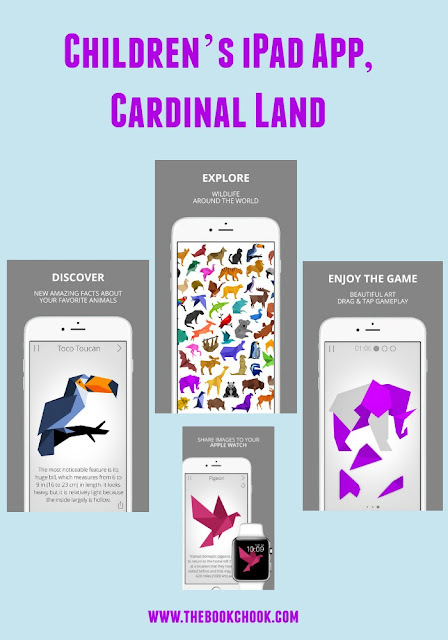 Playing the game you will not only have fun, but expand your knowledge about different creatures living on our planet. The art work is attractive and colourful. I particularly enjoyed the gentle asian-style background music and the way the pieces easily slotted into place once you’d found the right area for them. If this process had been fiddlier, I think it would be way too frustrating for many people, especially children. The app encourages you to try again, and to build your skill level. I also liked the way the emphasis was more on the problem-solving than on the goal of achieving a fast time. There’s a Lite version available which is always an excellent idea so you know what you are paying for, should you ultimately decide to get the paid version. I’ll be adding this app to my list of iPad Puzzle Apps for Kids, embedded below.